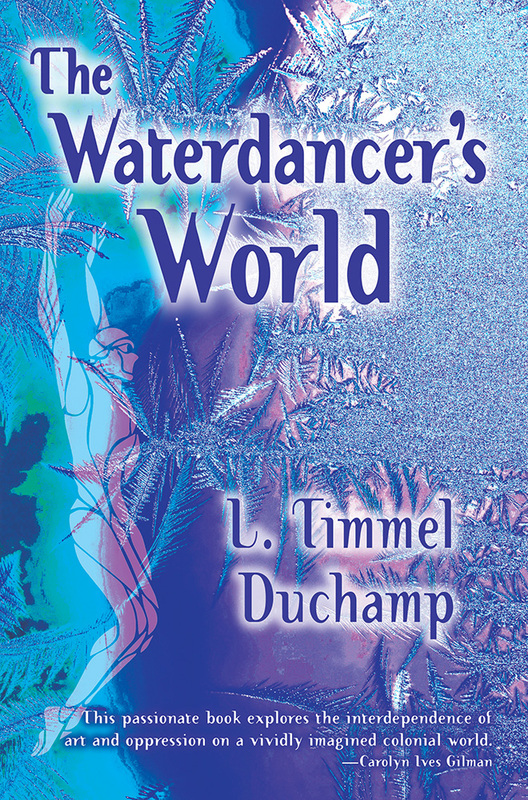 Carolyn Ives Gilman, author of Dark Orbit and Halfway Human, writes of the novel: "Timmel Duchamp specializes in rule-breaking fiction, and The Waterdancer's World lives up to her reputation. This passionate book explores the interdependence of art and oppression on a vividly imagined colonial world. It is as challenging and ethically complex as anything Duchamp has written." Frogmore is not the ideal world for human colonists, but they have arrived, they intend to stay, and the military is in control and determined to eliminate any threat to the human population, even if that means doing major damage to the local ecology and trampling the rights of the indigenes. The major player in the story is the daughter of the commanding general, who commands a commercial empire in her own right, and who is firmly behind the plan to terraform the world despite her fascination with a new artform that is directly inspired by the life forms she hopes to eradicate. The interplay of emotions unfolds on both an individual and a mass level, and the role of art in human history becomes a major theme. This author's work is almost always just a bit outside the mainstream of science fiction, and that is I think part of the reason that it is so often, as in this case, intensely appealing. This creative (though at times academic) novel takes place on the planet, Frogmore, as seen by five different individuals, and features the analytical guidebook, "A Star-Hoppers View of the Galaxy." The narrative explores the struggles the first few generations face while establishing life on the harsh and unforgiving planet... Generations later, when Frogmore is thriving, a government-like group, the Combine's Council for Developmental Strategy, seeks to use the planet only for its resources. The balance of the planet is on the line while groups grapple to gain control while managing oppression and ostracism. Readers looking for a breezy beach read will need to keep looking, for this is a formidable novel that takes concentration and patience. The rewards are great, however, for those who stick with it and wind up reflecting on it long after they've finished.